Has David Cameron put Britain offside and off-shore in Europe? In his failed last-minute quest for special treatment over financ ial regulation, it would seem the Prime Minister has taken Britain out of the room where decisions on the future of Europe will be shaped. The consequences could well be a prolonged, bitter parting of the ways between Britain and the rest of the European Union, a divorce in which both parties lose. Politicians and commentators across Europe have pronouced Britain’s move disastrous, that it has lost its seat at the European negotiating table, and that retaliation from Europe will damage Britain’s economy. And it’s not just Europe that is upset with Cameron’s decision. So is his co-leader in the coalition, Nick Clegg, leader of the Lib-Dems. To be sure, I should point out that Euro-skeptics in Britain are cheering Cameron’s decision and so, I would guess, are a majority in the country itself. Will the decision affect Britain’s trade with Europe? If so, is this an opportunity for Canada to step up and increase our trade with the mother country? 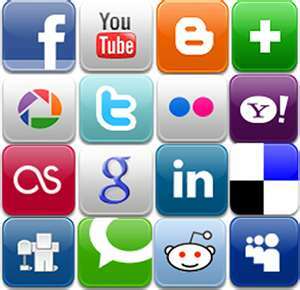 SHOULD THE SOCIAL MEDIA BE RESTRICTED? The riots and ramapages in Britain are both disturbing and destructive. To some extent, like the rebellion in Egypt, they are being driven by the social media like Facebrook and Twitter. So much so that Prime Minister Cameron is considering banning some people from using the social media. China heavily restricts the use of the media. Should Britain do the same to help halt these riots? SHOULD NICK CLEGG MAKE A DEAL? I read somewhere today that the U.K. does not have a government yet. Wrong. Gordon Brown and the Labour party are still in power. Brown is still the P.M. But time is running out because of the huge financial problems in Europe. And there are obvious troubles with the negotiations. For several days now the Lib Dems have been negotiating with the Conservatives. No deal so far. The big stumbling block is Clegg’s demand for proportional representation i.e. that it would no longer be first past the post (as we have in Canada) but that the number of seatswould be in proportion to the nu mber of votes. This system would help the Lib Dems a lot, the old parties would be penalized. Having failed to convince the Tories of their demand, the Lib Dems have now turned to Labour. Labour has said if Clegg makes a deal with them, they will come up with rep. by pop. Not only that , but to make the deal more palatable, Brown will resign as PM and as Labour leader. 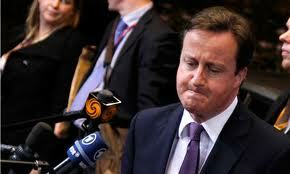 When the Tories heard that, CAMERON also offered to do rep. by pop. for the Lib-Dems. If Clegg joined the Tories, the two parties would have a majority in Parliament. If Clegg joined Labour, the would not quite have a majority (326 seats) and would have to find some other votes from minority parties. What do you think Clegg will do?